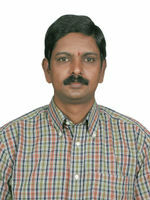 This user was certified a Wiki Apprentice Level 1 by Gita_Mathur . Worked as a Field officer in central research institution, then as a Chief Testing Officer further became a Lecturer in HRD and now as a Associate Professor in Psychology in Tamil Nadu Open University. Acquired a Ph.D in Psychology, after having completed Masters degree in Psychology,additionally qualified in Legal faculty. This page was last modified on 28 August 2010, at 21:20.